Christopher Lane, has been a Managing Director of KRG Capital since 1997, and has over 25 years of diverse business experience in corporate strategy, business development, finance and operations as a principal and advisor. 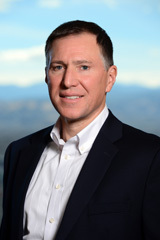 Lane has served as a member of the Firm’s Investment Committee since 1997 and as a lead Managing Director, Chairman and a member of the Board of Directors for a number of its portfolio companies. He also served in an operating role as CFO for four years at White Cap, a former KRG Capital portfolio company which was taken public and subsequently sold to another equity sponsor. Lane has completed numerous transactions including mergers, acquisitions, recapitalizations, public offerings and going-private transactions. Prior to joining the Firm, Lane was a partner in a professional services firm providing acquisition and litigation support services. Lane also co-founded and served as a board member of companies that performed auditing, redemption and data management services and created large-scale public record databases. Lane earned a Master of Business Administration degree in Management and a Bachelor of Arts degree in Economics from the University of California, Irvine.